I can’t wait to share this new DIY foot scrub. We already know how to make Brown Sugar Scrub and that was fabulous! 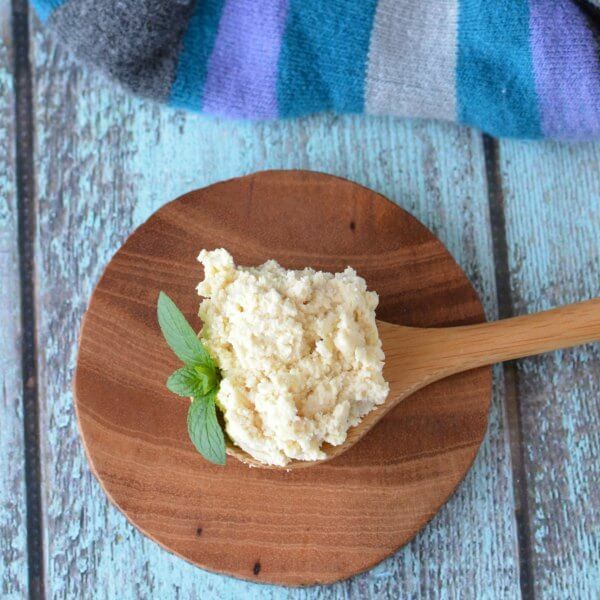 This one is a peppermint foot scrub and it is perfect for dry achy feet! 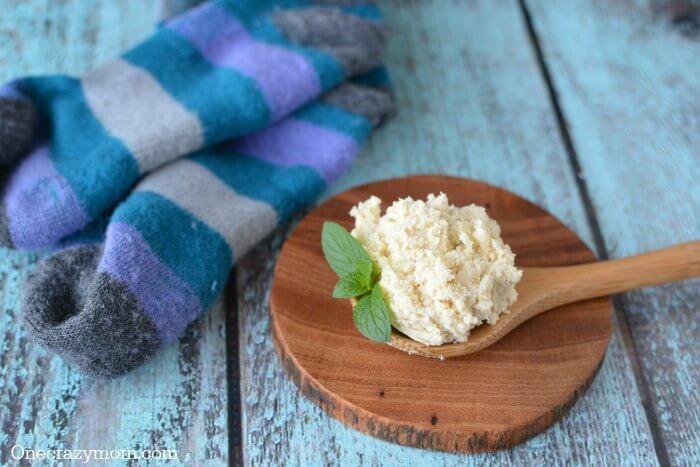 You are going to love this homemade foot scrub! It’s so refreshing and soothing to achy feet. This DIY Bath Bombs Recipe is also amazing! So simple and much less than buying these at the store. This is also a really thoughtful gift idea! You might make a gift basket with this wonderful peppermint foot scrub, comfy socks and a pretty candle. I love gifts that are practical! You can get jars on Amazon for a really good price. The peppermint oil is also a nice deal on Amazon. I am always making something so it saves me time and money to have these on hand. 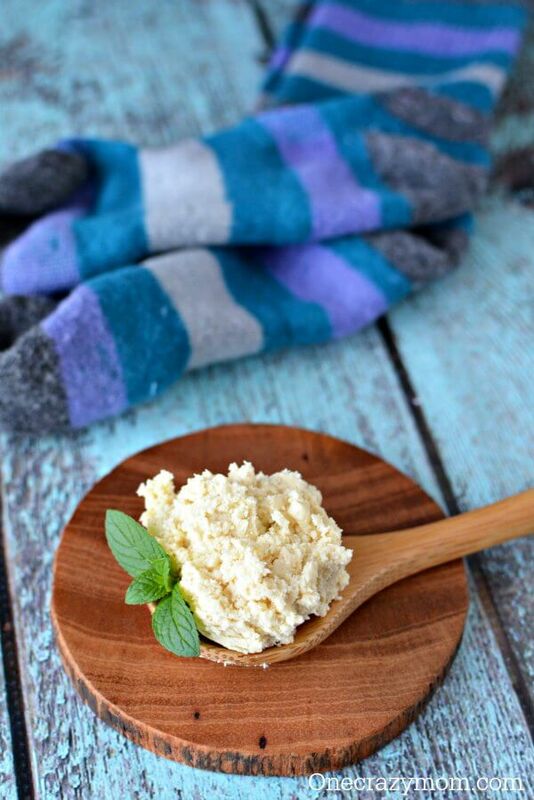 Let’s make Peppermint Foot Scrub! It smells wonderful with the peppermint oil! It’s so refreshing and perfect for tired feet. 1. Add cocoa butter and coconut oil to a small bowl. Microwave for 90 seconds stirring every 30 seconds until melted. 2. Stir in vanilla and essential oil. Partially chill in the refrigerator (about 25 minutes) and then whip. Store in a small container. Slater on feet before bed and cover with socks. A little goes a long way. 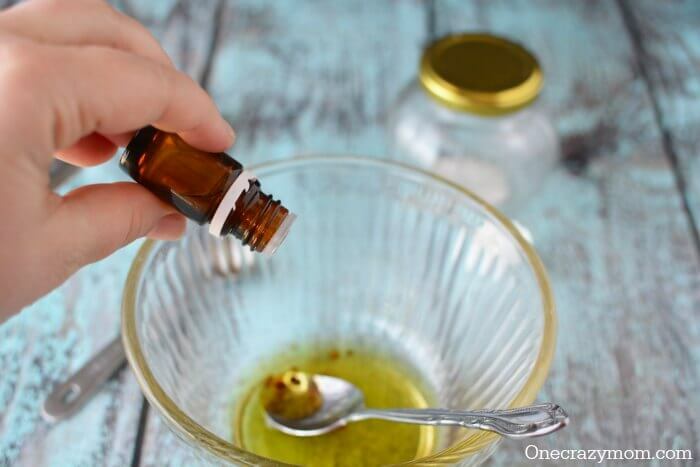 This homemade foot scrub is amazing! The peppermint oil is so refreshing. Your feet will feel so pampered. 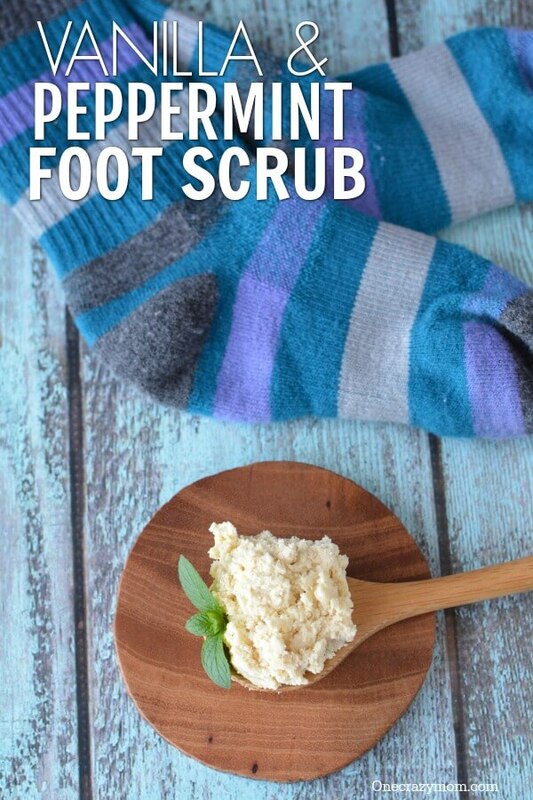 Let us know how you like this DIY Foot Scrub. 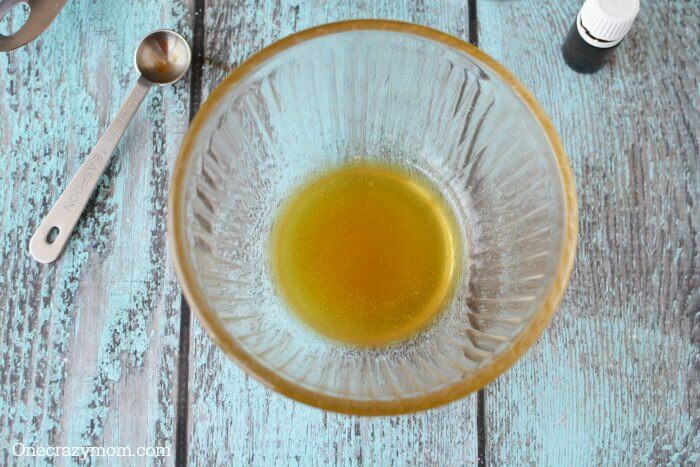 We also love Homemade Hair Detangler . 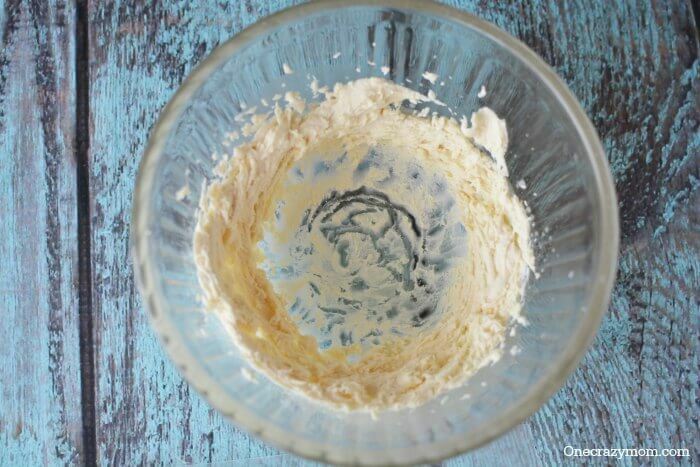 It’s so simple to make DIY Hair Detangler and you will save a ton of money! Learn how to make Homemade Peppermint Sugar Scrub Recipe that will leave your skin feeling smooth and silky.